The holidays are over, and after all the indulging over Christmas it’s a great time to get into making some healthy smoothies. A decent blender is a must for making smoothies, and I find my Nutribullet works a treat. Create your own recipes using vegetables or fruit that need to be used from the fridge. Smoothies are super easy to make so give it a go. Choose your preferred liquid to go with the fruit/vegetables – eg orange juice, water, milk, almond milk, yoghurt etc. I love adding yoghurt! The yoghurt you use can affect the sweetness of the smoothie. I like using Anchor Greek yoghurt. It has little sugar, only 2.5%, and it’s nice and creamy. It also has 8% protein content. Here’s a couple of smoothies that I’ve created, one green and one pale yellow. I hope you like them too. Put all ingredients in your blender and blitz until smooth. This is a lovely smoothie to have on a hot summer afternoon. This is quite a thick smoothie, so add more milk to suit. Makes 2 cups. Chop up some kale leaves (approx 3), and cook for 1 minute in a pot of rapidly boiling water. Drain and cool. Put 1 cup of blanched kale, banana, pear, milk and yoghurt in a blender. Blitz until smooth. Add quantities to suit. Kale can be substituted with spinach, but will not need any cooking. 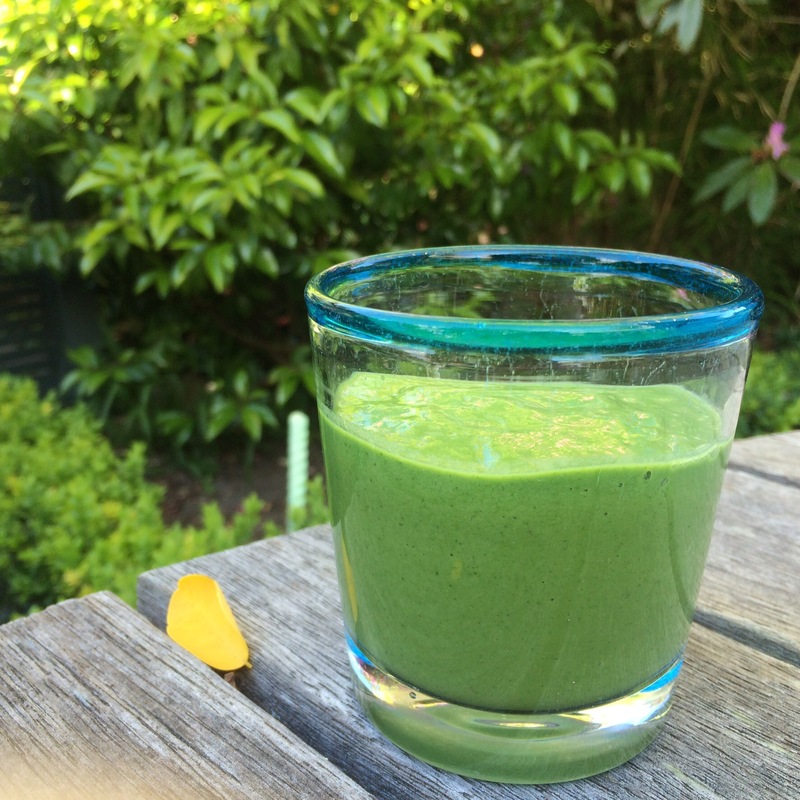 Do you have a good green smoothie recipe (for st pats day) that I can recommend for my sister-in-law with Type 2 diabetes – trying to keep the carbs down so looking at tasty ones without fruit or yoghurt/milk added if poss. Hi Grace, Most of the green smoothies I know have some fruit in them, even if it is just banana, to give the smoothie sweetness. I will have a look online for anything that might work for you sis n law.